Careless driving is defined as careless disregard for the safety of others on the road. Those who driver carelessly are driving without practicing caution on the road, which could potentially put others in harm’s way. Some examples of careless driving could be speeding, failure to use signals, or even using a cell phone while driving. In some instances, a careless driving citation may also be given to a driver after an accident. A charge for careless driving can carry 2 points on your license. If convicted, the fines for this charge can range from $78 to $200. If you receive multiple citations for careless driving, the penalties may not enhance. In New Jersey, reckless driving is defined as willful or wanton disregard for the safety others. Some examples of reckless driving can include speeding 25 miles over the speed limit, illegal passing, tailgating, racing other cars, or escaping a police officer. If a person is charged with reckless driving, they face 5 points on their driver’s license. If convicted, a driver may be assessed a fine from $50.00 to $200.00. The driver may also have their driving privileges suspended for up to 90 days if the court determines that the driver is a hazard on the road. 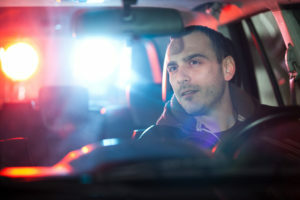 If a driver is convicted of subsequent offenses he or she may face jail time, increased fines of up to $500.00, and an increased suspension of up to 180 days. If you were charged with careless or reckless driving, you may want to consult with an attorney to understand your rights. Contact an experienced criminal defense attorney in New Jersey.